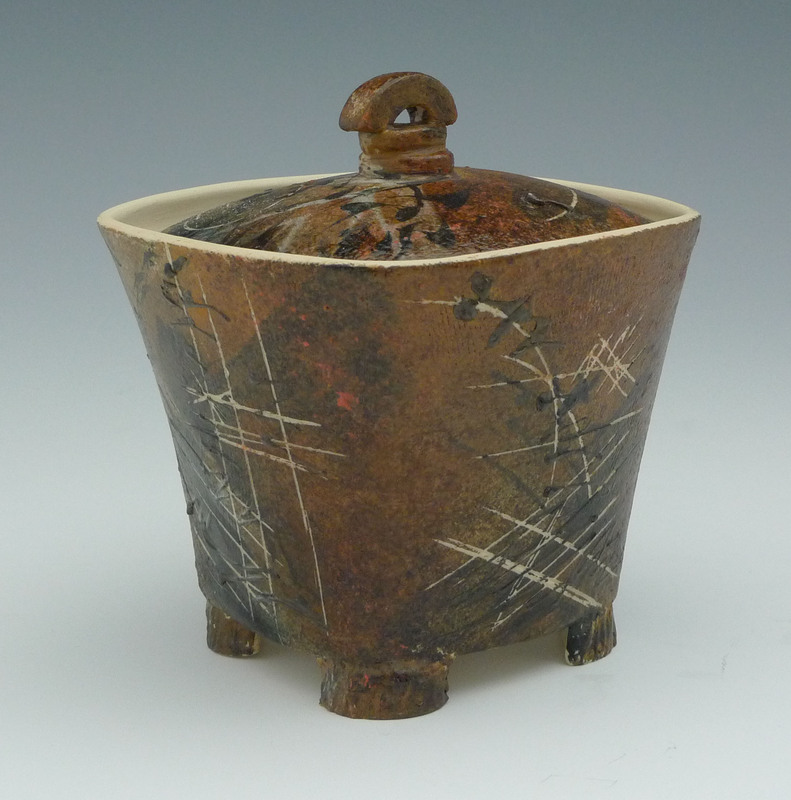 I make clay boxes because I like the intimacy and secrecy of lidded objects, the unexpected contents of the interiors, the imaginative links between inside and outside. I also like angled forms. Various early series have been based on textiles, looms and spinning wheels, spice containers of western India, and cave walls. Recent series have contained radiation, depression, despair, tsunamis, and bad news; but also poetry fragments and musical scores.